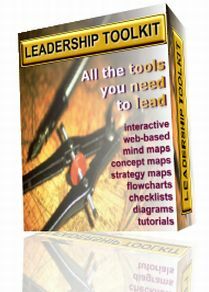 Great New Discovery Helps You Learn, Use, Practice And Master The Secrets Of Legendary Leaders! Here are over 1001 Proven Ways To Empower Your Natural Talents, Expand Your Leadership Skills, Energize Your Leadership Styles, Roles, Behaviors & Traits While You Learn How To Enhance Your Leadership Strategies, Networks, Agendas & Processes - It's Guaranteed... Or Your Money Back! 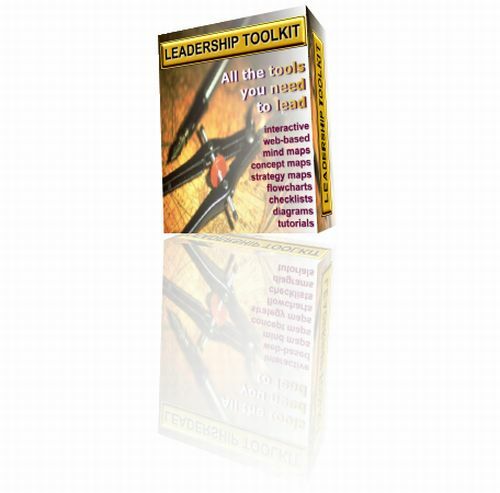 All The Tools You'll Ever Need To Lead - All Your Leadership Knowledge Packaged Together In One Easy-to-Use Learning Program - All the Training, "Live" Coaching, & Tutoring Support For Your Ever-Increasing Growth & Success! How Often Do You Find Yourself Saying: "I Wish I Knew How To Learn, Use, Practice And Master The Secrets Of Legendary Leaders"? - Well Now, It's All Up To You! To celebrate our release of this newly revised version of the "toolkit", we have decided to offer it to you at our special introductory price of just $49.95. This is a limited time offer - if you hesitate, you will miss out on this unique, once-in-a-lifetime opportunity. Copyright © 2004-2005 Mustard Seed Investments Incorporated.